I’m most proud of my wife and four children – they’re awesome. I’ve had a wide variety of job experiences in my short career that have given me a good overall perspective of local government. I was personally and professionally thrilled to be able to get the offer to come and work for the City of Hillsboro. (Complete this sentence) I feel old when I……..I feel old when I go skiing and mistakenly think I can do all the same tricks I did as a teenager. I recently installed a new “tall height” toilet in my home without realizing it’s a “tall height” toilet. And I installed in my kids’ bathroom… I quickly learned that “tall height” toilets are too tall for little kids. I wish I was better and staying in touch with old friends, co-workers, and classmates. Once you lose track of them, it’s really hard to get back in touch (without having to use Facebook). I also find cat videos hilarious, even though I’m not really a cat person. Any “The Office” clips about Michael Scott hating HR. They’re great. When I was in Seventh Grade playing football, I was the smallest guy on the team. During one game, my coach put me in on defense and I promptly intercepted a pass then proceeded to run around the field incredibly fast, more out of fear of getting tackled than anything. Nobody could tackle me until I just ran out of gas. But I must have been pretty impressive, because as soon as I came out my coach said, “Robby, that was awesome! Get back in there and run a 27 Reverse.” I wish I could say I did, but instead, I told the Coach that I didn’t know the 27 Reverse so I couldn’t do it. In reality, I was just scared. He just smiled at me and said okay… I’ve always wished I would have gone back in just to see what would have happened. I’m fairly sure that I never would have been a great football player, but I’ve always wished I would have tried. Affordable Care Act and how cities are adjusting to it. Creative ways to motivate and reward employees. How can we increase interest in Local Government careers for today’s youth? 00’s was….. Finishing school and starting my career. Last year was….. Having baby #4 and buying our new home in Hillsboro. Today is…. Still flying high that the Seahawks won the Super Bowl last week. Ed Belmares, Assistant City Manager, City of San Antonio: Trusted me with great opportunities. Sharon De La Garza, VP Human Resources, San Antonio Water System: Always bucked traditional HR way. I try to be pretty optimistic so this is a tough one. I’d probably say that in general, we can be too quick to judge others without understanding their perspectives and experiences. How did you hear about ELGL? The City of Hillsboro is a big supporter and I heard about ELGL from our City Management. Fast forward one year, what will factor into your decision on whether to renew your ELGL membership? 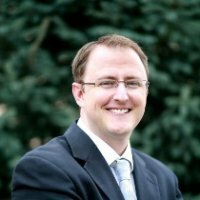 Are the issues that ELGL discusses current and relevant to my organization? We should place more focus on hiring individuals that are passionate about local government as opposed to hiring people simply because they have the most experience or education. That’s where we’ll find the difference makers. New generations place great emphasis on flexibility so we should try to create flexible work environments whenever possible. This will also help over the next several years as there are increasing retirements, by allowing a variety of “work back” options for talented and passionate retirees. What’s the most unique aspect or practice of your current organization? How big and expansive does ELGL plan to become?